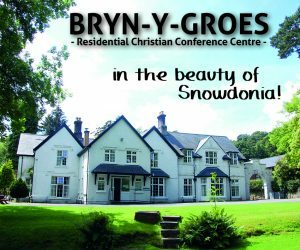 Bryn-y-groes offers flexible hospitality with personal attention to your precise needs. We offer full board or self-catering. Our meals are of excellent quality, whether you opt for the budget menu or wish to spoil yourself with cooked breakfasts and three-course evening meals. Packed lunches are also available on request. WI-Fi throughout the main house and rooms. LARGE MEETING ROOM with induction loop system, PA system, projector and screen. TWO SMALLER LOUNGES, with TV/DVD in one. LARGE GAMES HALL with table tennis, pool, air hockey, table football and a small kitchen. With a seating capacity of 140, the games hall can also be used for meetings and is available for stand-alone hire. DIVERSE GROUNDS including a hard court for tennis or other games, volley ball pitch and putting green for the more active, as well as attractive gardens and wooded areas for those wanting a peaceful stroll. VARIETY OF BEDROOMS (17) including twin rooms and family rooms, each with its own wash basin. Some bedrooms are situated in an annexe. Beds are supplied with duvets, pillows and Welsh tapestry throws. We also have an en-suite accessible bedroom. TRADITIONAL DINING ROOM with flexible seating arrangements. FULLY FITTED KITCHEN with industrial dishwasher for the use of self-catering groups.